Last Tuesday the ↑Wolverhampton Instrument for Teaching Computing from Harwell (WITCH) was rebooted for the first time since the 1970s. For two and a half years volunteers had restaurated the machine, which was built in 1951, at Great Britain’s ↑National Museum of Computing at Bletchley Park. Who is checking the time on his fob watch? The day will come when I again will post screencaps of movies like ‘↵The Resurrection of Zachary Wheeler,’ ‘↵Vexille,’ or ‘↵Mr. Moto Takes a Vacation‘ and Alexander Rabitsch won’t recognize them right away like he has ↵done again: It indeed is Steve McQueen as Thomas Crown checking the time—Mr. 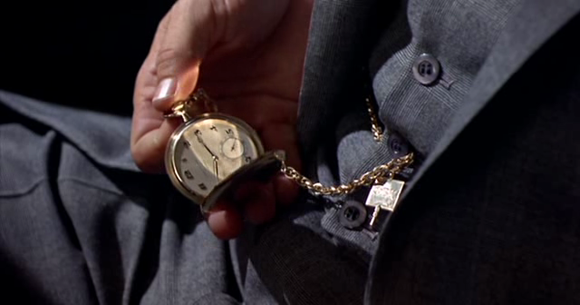 Rabitsch even furnished us with the knowledge that the watch is a Patek Philippe—in ‘↑The Thomas Crown Affair,’ directed by Norman Jewison (1968). To the ↵cyberpunk aficionado Jewison of course is best known for his magnificent ‘↵Rollerball‘ (1975). 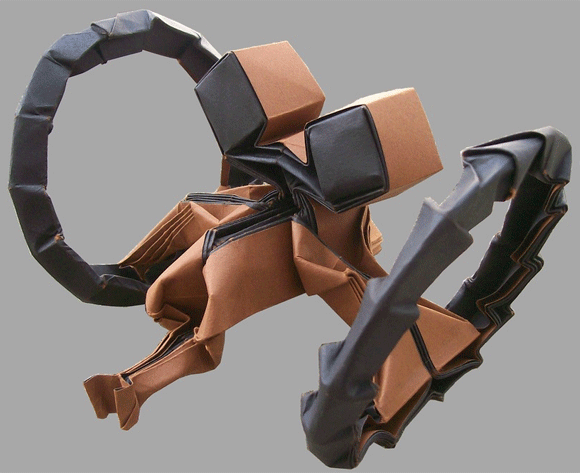 ‘Thomas Crown’ has nothing to do with cyberpunk whatsoever. It is a heist movie, remarkable for its atmosphere, the chemistry between McQueen and Faye Dunaway, and maybe best remembered for the employed ↑split-screen technique. When, as a youth, I saw ‘Thomas Crown’ for the first time (on television), I found the split-screen scenes to be irritating, unnerving, and in consequence downright boring. Today, since more than a decade well used to sitting in front of multiple screens, I somehow like it. So I was delighted to see the split-screens being used for the elaborate cut-scenes in ‘↑Max Payne 3‘ (Rockstar Vancouver 2012). And I am amused that Microsoft’s advertising machine currently tries to convince us all that tiles are the up-to-date interactive design thing for graphical user interfaces, all the while acting like they’re selling us a ↑Mondrian Composition at a bargain. ‘The Thomas Crown Affair’ was remade in 1999, starring Pierce Brosnan and Rene Russo, John McTiernan directing—no ↑multi-dynamic image technique here. Three years later McTiernan remade yet another film by Norman Jewison, the already mentioned ‘Rollerball.’ The remake was shredded by the critics and failed at the box office. JEWISON, NORMAN FREDERICK. 1968. The Thomas Crown affair [motion picture]. Los Angeles: United Artists. JEWISON, NORMAN FREDERICK. 1975. Rollerball [motion picture]. Century City: United Artists. MCTIERNAN, JOHN CAMPBELL. 1999. 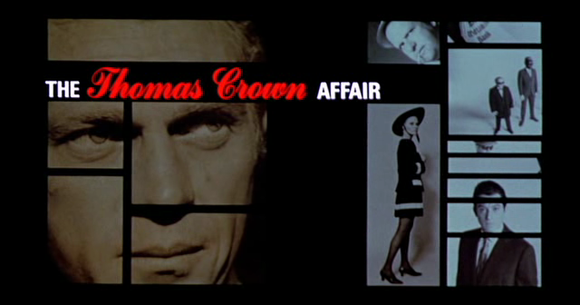 The Thomas Crown affair [motion picture]. Beverly Hills: Metro-Goldwyn-Mayer. MCTIERNAN, JOHN CAMPBELL. 2002. Rollerball [motion picture]. Beverly Hills, Burbank: Metro-Goldwyn-Mayer, Touchstone Pictures, Buena Vista International. ROCKSTAR VANCOUVER. 2012. Max Payne 3 [computer game]. New York: Rockstar Games. The day before yesterday ↑CBS Films ↑announced that ↑Scott Derrickson, who directed e.g. ‘↑The Day the Earth Stood Still‘ (2008) [the remake, obviously], will direct a movie based on the ↑‘Deus Ex’ series of computer games, the latest installment, ‘↑Deus Ex: Human Revolution‘ (Eidos Montreal & Nixxes Software 2011) in particular. DERRICKSON, SCOTT. 2008. The day the Earth stood still [motion picture]. Century City: 20th Century Fox. DERRICKSON, SCOTT. 2014. Deus ex [motion picture]. Brentwood: CBS Films. ↑Steven ↑Levy, author of ‘↑Hackers: Heroes of the Computer Revolution‘ (1984), among others, has written a comprehensive article, published at Wired, on the complex of problems comprising patents, the patent wars, and patent trolls. Along a suspenseful storyline, and by using some fine metaphors from the cold war and beyond, he makes the matter perfectly clear and understandable. That labyrinthine process, combined with the intricacies of the court system, have made trolls more powerful than ever. NPEs [nonpracticing entities—companies which neither manufacture anything nor offer any services but solely make profits from their patent portfolios the lawyers’ way] have nothing to lose. Because they don’t create anything, they can’t infringe on anyone else’s patents, no matter how overblown. That means they can’t be countersued. This isn’t mutually assured destruction; it’s asymmetric warfare. LEVY, STEVEN. 1984. Hackers: Heroes of the computer revolution. Garden City: Anchor Press, Doubleday. LEVY, STEVEN. 2012. ↑The patent problem. Wired 13 November 2012. Available online. SIHVONEN, TANJA. 2011. ↑Players unleashed! Modding The Sims and the culture of gaming. Amsterdam: Amsterdam University Press. ↑A Slower Speed of Light is a first-person game prototype in which players navigate a 3D space while picking up orbs that reduce the speed of light in increments. Custom-built, open-source relativistic graphics code allows the speed of light in the game to approach the player’s own maximum walking speed. Visual effects of special relativity gradually become apparent to the player, increasing the challenge of gameplay. These effects, rendered in realtime to vertex accuracy, include the Doppler effect (red- and blue-shifting of visible light, and the shifting of infrared and ultraviolet light into the visible spectrum); the searchlight effect (increased brightness in the direction of travel); time dilation (differences in the perceived passage of time from the player and the outside world); Lorentz transformation (warping of space at near-light speeds); and the runtime effect (the ability to see objects as they were in the past, due to the travel time of light). Players can choose to share their mastery and experience of the game through Twitter. A Slower Speed of Light combines accessible gameplay and a fantasy setting with theoretical and computational physics research to deliver an engaging and pedagogically rich experience. Dream of Pixels is a beautiful falling blocks puzzle game, in reverse. The brilliant twist on the old classic is the unpacking of tetromino blocks in place of the usual packing. Simply tap on the descending grid to unpack the tetrominos and watch them spin, rotate and drop with gravity. Clear the lines from the beautiful cloudy grid fast enough or it’s—dream over. 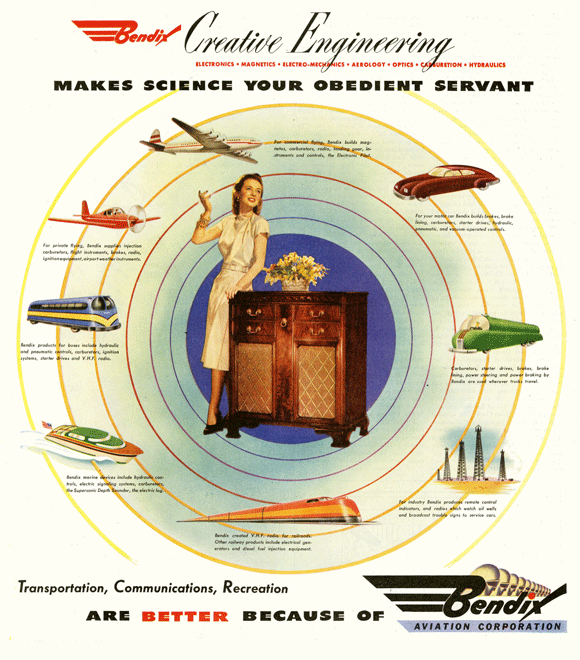 A 1946 advertisement for the ↑Bendix Corporation, scanned and put online by Paul Malon—↑click for larger versions, in order to be able to read all of the small text, too. 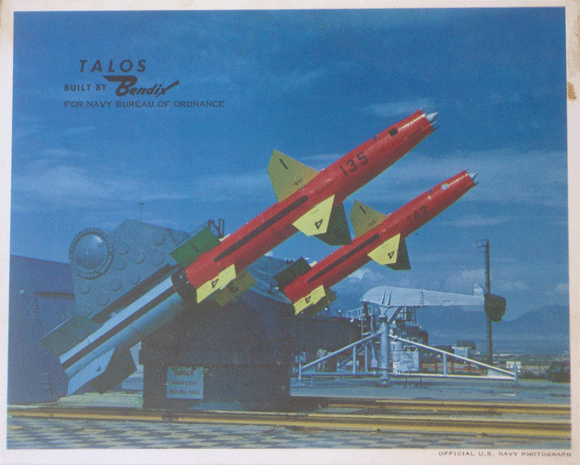 RIM-8 Talos surface to air missile built by Bendix Corporation in test launcher at White Sands Missile Range New Mexico—I love the colors. Painted that way the rockets would perfectly fit onto ↑Megatron or ↑Optimus Prime … the choice is yours. MEJA, VOLKER AND NICO STEHR. 1993. “sociology of knowledge,” in The Blackwell dictionary of twentieth century social thought edited by William Outhwaite and Tom Bottomore, pp. 637-639. Oxford, Malden: Blackwell. MULKAY, MICHAEL. 1993. “sociology of science,” in The Blackwell dictionary of twentieth century social thought edited by William Outhwaite and Tom Bottomore, pp. 639-640. Oxford, Malden: Blackwell. We are in an officers’ mess. 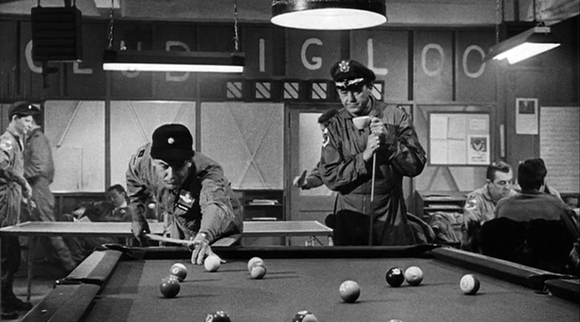 Two senior members of the flight personnel are having a conversation while playing pool. What is said in this conversation? Again Alexander Rabitsch ↵immediately recognized the correct movie: ‘↑Fail-Safe‘ (Lumet 1964)—congratulations, but because of lack of time till Christmas he is loath to check back for the dialogue of the depicted scene. So, here we go. Flynn: ↑Ploiești was a rough one. We lost half of our group. Grady: ↑Regensburg was the worst one for us. Flynn: I never flew the ↑B-17, only ↑B-24s. Grady: Good airplane, the old ’24. You knew you were flying it, not the other way around, like today’s things. Flynn: You still have to fly the Vindicator, Grady. Grady: We’re the last of the lot, Flynn. Don’t kid yourself about that. The next airplanes won’t need men. Flynn: You’ll be too old, anyway. Grady: After us, the machines. We’re halfway there already. Look at those kids. Remember the crews you had on the ’24s? Jews, Italians, all kinds. You could tell them apart. They were people. These kids—you open them up, you’ll find they run on transistors. Flynn: They’re good kids, I tell you. Grady: Sure. You know they’re good at their jobs, but you don’t know them. How can you? We get a different crew every time we go up. Flynn: That’s policy, Grady. It eliminates the personal factor. Everything is more complicated now. Reaction time is faster. You can’t depend on people the same way. Grady: Who do you depend on? Warren Black [Dan O’Herlihy] lives in New York City and suffers a recurring nightmare about attending a bullfight that ends in a piercing shrieking noise. The nightmare fills him with doubts about his job as a Brigadier General in the US Air Force who is assigned to nuclear weapons. Walter Groteschele [Walter Matthau] is a professor with some audacious ideas about nuclear warfare—namely that the common conception that any exchange of nuclear weapons will inevitably and imminently lead to an all-out exchange and the annihilation of the world is wrong. He is a civilian advisor to the Defense Department and Defense Secretary Swenson. Frank Bogan [Frank overton] is commanding general of Strategic Air Command, the nuclear weapons arm of the Air Force, and he possesses faith in the vast array of high-tech equipment at his disposal, enough that he leads a short-notice tour of a visiting Congressman, Hubert Raskob [Sorrel Booke], of SAC headquarters—though he must roust his executive officer, Colonel Warren Cascio [Fritz Weaver], from an unplanned visit with his elderly father, a drunken hillbilly who lives in a basement apartment and whose alcoholism periodically leads to violence. Jack Grady, a Colonel in the Air Force, leads Group Six, a squadron of Vindicator nuclear bombers, supersonic jet aircraft derived from the B-58 Hustler bombers of the latter 1950s and based near Anchorage, AL. Grady and his wingman Billy Flynn debate the utility of their fellow pilots, young men who seem more like machines than the pilots they flew with in the Second World War. All of these men are soon caught up when a computer malfunction at SAC headquarters results in replacement of a faulty control piece. The replacement is routine but momentarily freezes up SAC’s mainframe as the array of computers reboots. It appears of no concern—except the glitch activates the Fail-Safe box aboard Group Six; at the same time all radios aboard Group Six are jammed by Soviet Russia, and when the fail-safe signal aboard the planes is verified, it leaves Grady and his men thinking that nuclear war has broken out and they must execute their final order—penetrate Soviet Russia from the North Pole and launch multi-megaton explosives onto Moscow. The President Of The United States [Henry Fonda] now must become involved as he and his translator, Peter Buck [Larry Hagman], travel deep underground to the White House command bunker, where a ‘Hot Line’ direct voice communicator with the Soviet Premier awaits, with Buck hearing the Russian’s voice and translating his words to the President. The President, the Secretary of Defense [William Hansen], and General Bogan work to try and stop Group Six, but the power of the planes and the crews’ unshakable working orders—orders that include disregard of all outside voice communication on the suspicion of enemy disinformation—means that the six bombers penetrate Soviet Russia and overcome the Soviet Empire’s vast antiaircraft grid. With all indications being that the bombers will reach Moscow, the President makes a deal with the Soviets – a deal so stunning as to shake even the Soviet Premier into realizing that the President’s pleas that the attack is an accident are manifestly the truth, but with the sickening realization that the President’s proposal is the only way to avoid omnicide. Quite probably the story sounds very familiar to you and you’ve got Stanley Kubrick’s ‘↑Dr. Strangelove‘ in mind—like ‘Fail-Safe’ produced by Columbia and hitting the silver screen the same year, 1964. But Lumet’s ‘Fail-Safe’ was based on the ↑novel of the same name by Eugene Burdick and John Wheeler (1962), and ‘Dr. Strangelove’ was based on the novel ‘↑Red Alert‘ by George Ryan (1959). Nevertheless the similarities between the two novels are so blatant that Ryan sued because of copyright infringement. The matter was settled out of court. Finally, in 2000 Stephen Frears adapted ‘Fail-Safe’ to ↑a live television play produced by, and starring George Clooney. BADHAM, JOHN MACDONALD. 1983. War games [motion picture]. Beverly Hills: MGM/UA. BURDICK, EUGENE LEONARD AND JOHN HARVEY WHEELER. 1962. Fail-safe. New York: McGraw-Hill. FREARS, STEPHEN ARTHUR. 2000. Fail safe [television play]. New York, Burbank: CBS, Warner Bros. Television. GEORGE, PETER BRYAN. 1959. Red alert. New York: Ace. KUBRICK, STANLEY. 1964. Dr. Strangelove or: How I learned to stop worrying and love the bomb [motion picture]. Culver City: Columbia Pictures. LUMET, SIDNEY ARTHUR. 1964. Fail-safe [motion picture]. Culver City: Columbia Pictures. SARGENT, JOSEPH. 1970. Colossus: The Forbin project [motion picture]. Universal City: Universal Pictures.